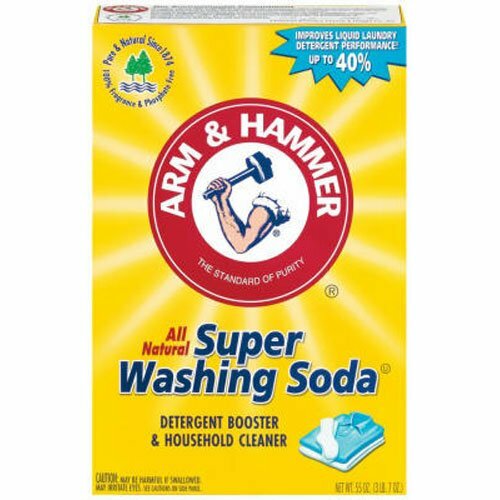 If you haven’t noticed, I have been very interested in making my own cleaning supplies. I have been amazed at how easy it has been to make them as well as how much money it will be saving us. 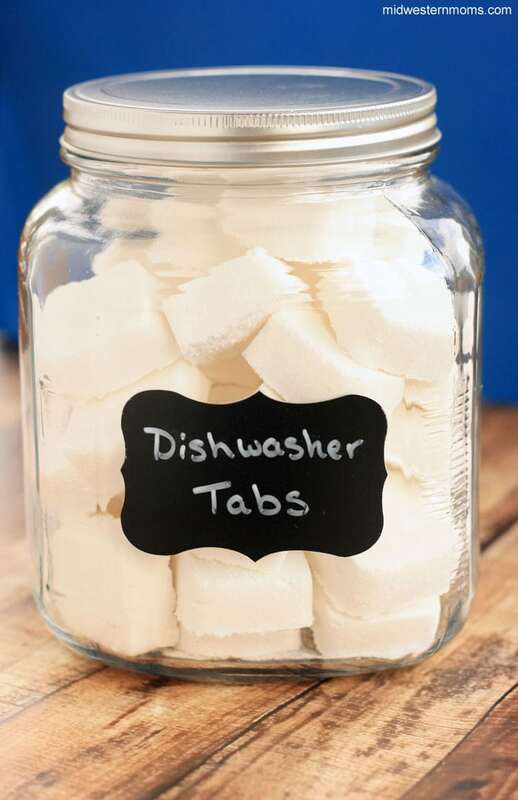 The one thing that will be saving us a ton of money is dishwasher tabs. Those little things can add up quickly in a month and I hate to do dishes by hand. When the tabs are done drying, I placed them in a glass jar with a screw on lid. This will help keep moisture out of the jar. I added a chalkboard label to make it look cute while it sits on my counter. 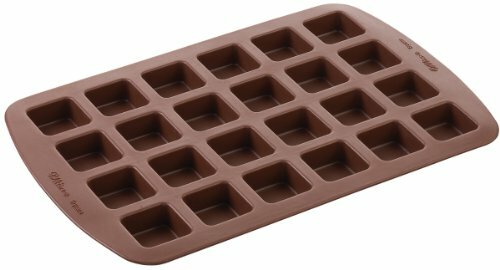 Molds – I used these silicone square molds, but you can use ice cube trays or egg cartons. Mix all your ingredients in large bowl. The vinegar will cause some fizzing so pour it in slowly. Once it is all combined, you will notice that is starting to clump. Press your mixture into your mold. Allow the tabs to dry about 24 hours before removing them from the molds. Using the molds I had, I got about 40 dishwasher tabs. Place one dishwasher tab in the soap area of your dishwasher. 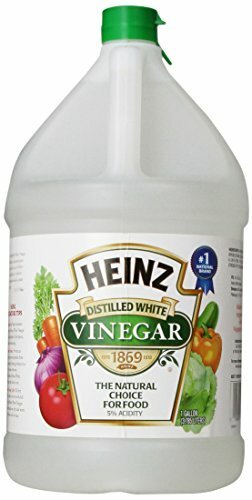 I add a 1/2 cup of white vinegar to the bottom of my dishwasher to help with cloudy dishes due to hard water. You can also but the vinegar in a cup on the top rack right side up. WANT TO PRINT THESE INSTRUCTIONS? Enter your email in the newsletter box below and an email will be sent with a link to print. 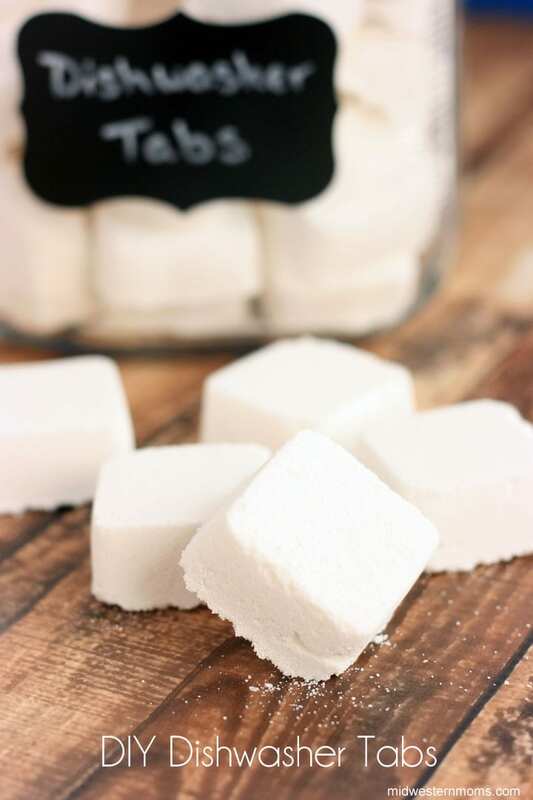 Are you ready to make the change and start making your own dishwasher tabs? If you are interested in the essential oils that I use, feel free to contact me. Those are so easy to make! What a great idea! 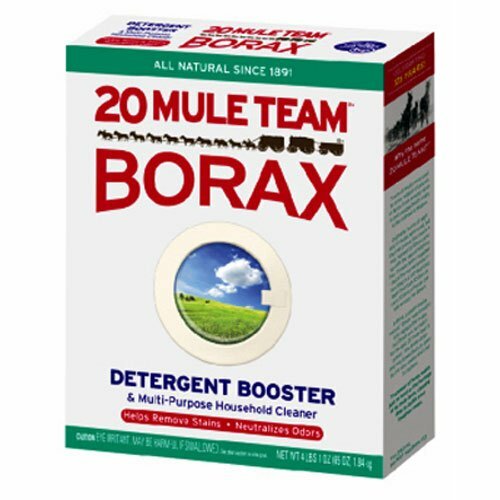 I love DIY cleaning supplies! I can’t wait to get my dishwasher fixed so I can try these out 🙂 Do you have any ideas for other essential oils to use? I’m not really a lemon crazy person. Do you like Orange? Wild orange would be a great substitute. Maker of dishwasher tells you to never use lemon in your dishwasher. It will damage silverware and can help in corrosion damage of your appliance. Hi I love this post! Just wondering, is it a half cup, cap, etc that you add to the washer to help with hard water spots? It just says 1/2. I can’t wait to try this, though! Sorry about that! It is 1/2 cup. I made the change in the post. Thank you for pointing it out to me. Love this! I love finding new recipes with essential oils, thanks for the post! How much per tab did this cost…? I honestly didn’t keep track. I don’t think it would be much. 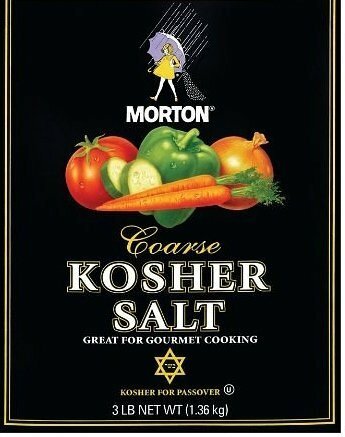 Does this recipe leave any gritty residue behind? That is the reason I stopped using dry detergents and changed to liquids. By chance have you tried making a liquid or gel recipe? Do you find the dishes clean and residue-free? I haven’t noticed but it may depend on your dishwasher too. What brand of essential oils do you use and why. I use doTERRA oils. They are 100% pure essential oils. They are tested and retested to ensure the highest quality oils are delivered to their customers.